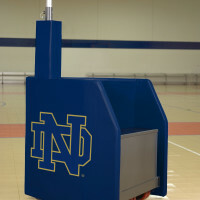 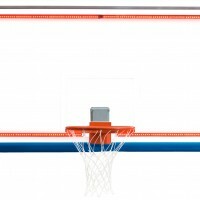 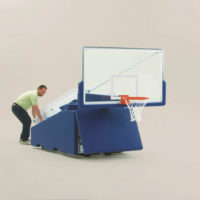 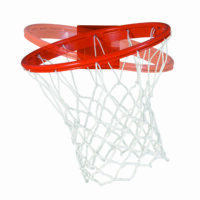 T-REX® International Automatic Portable Basketball System - Bison, Inc. 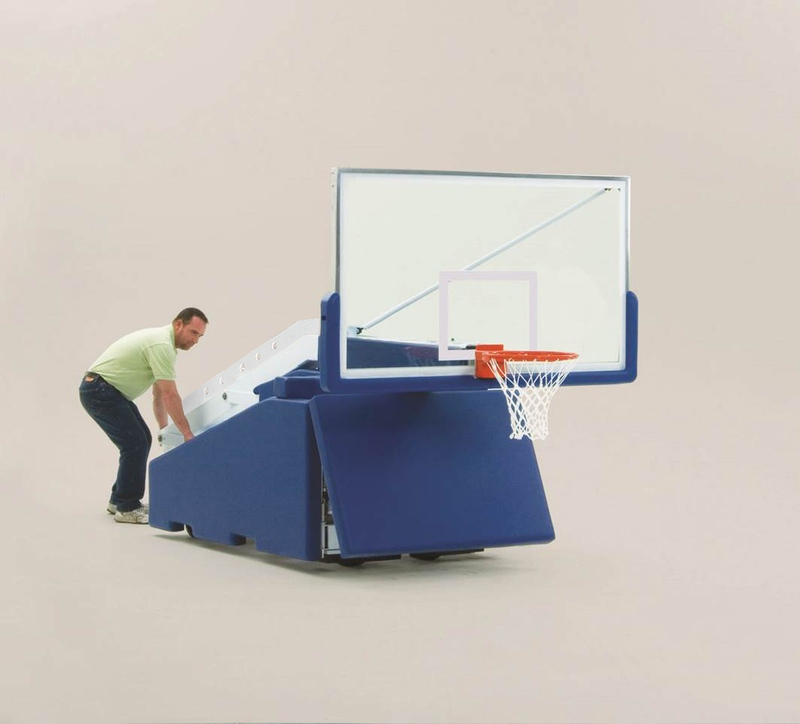 Some programs desire the added 32″ of safe play area found on our T-Rex International. 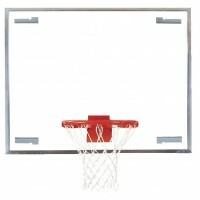 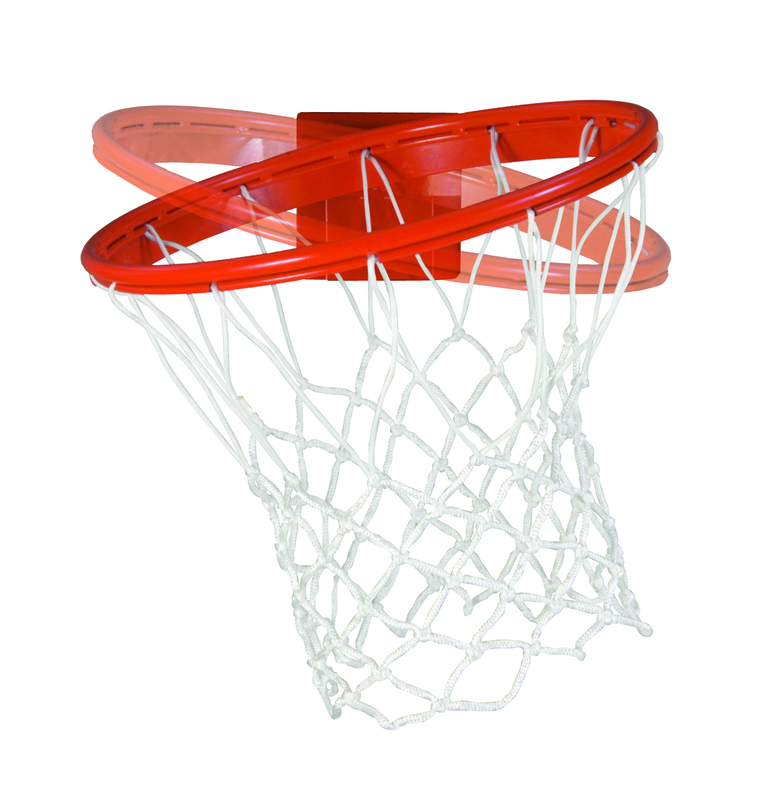 Whenever possible, with today’s aggressive style of play, we recommend International for the added measure of player safety if court space and budget allows. 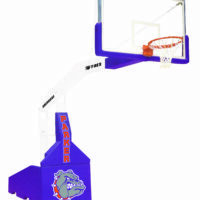 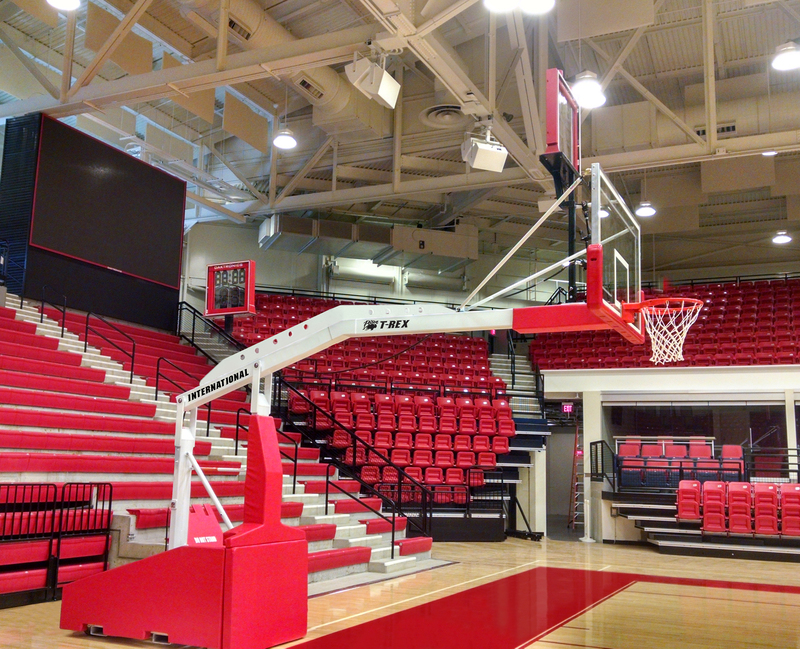 Floor space limitations between the court end line and the end court bleachers or wall will determine if this T-Rex with a 10′ 8″ safe play area is right for your program. 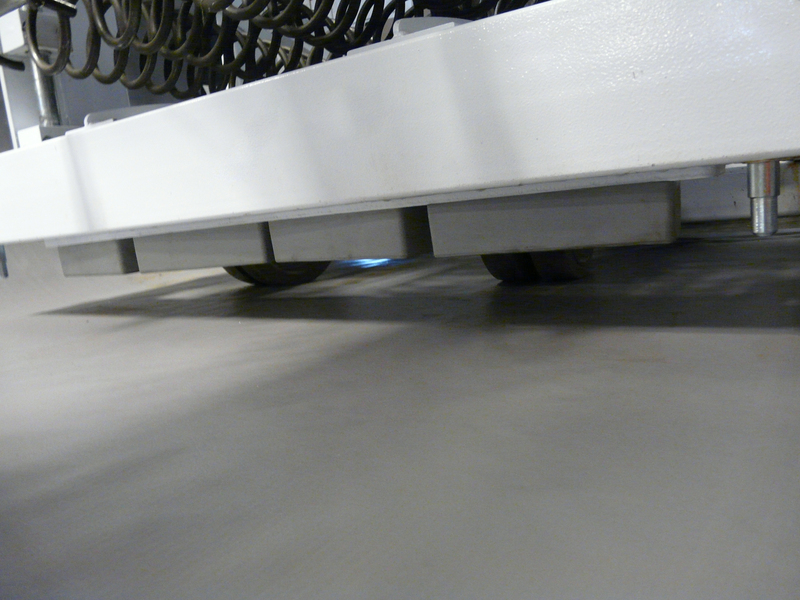 Approximately 400# of additional rear ballast and additional springs are designed to offset the additional 32″ forward extension. 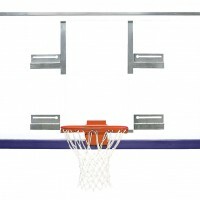 T-Rex International features the same premium glass backboard, 180° breakaway goal, backboard, beam and base padding, an automatic base control system and other features found on T-Rex Americana. 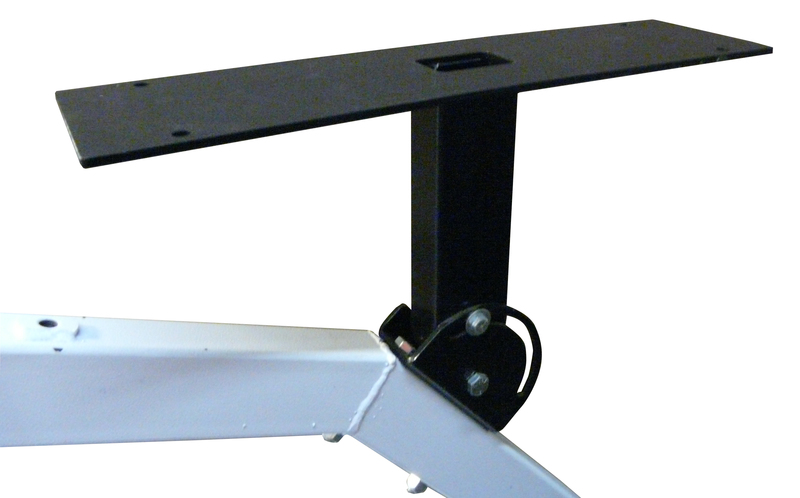 All steel base components have a standard bright white powder coated finish but can be ordered in a wide array of colors at an additional cost. 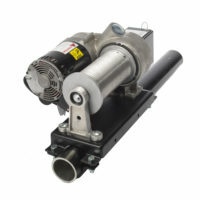 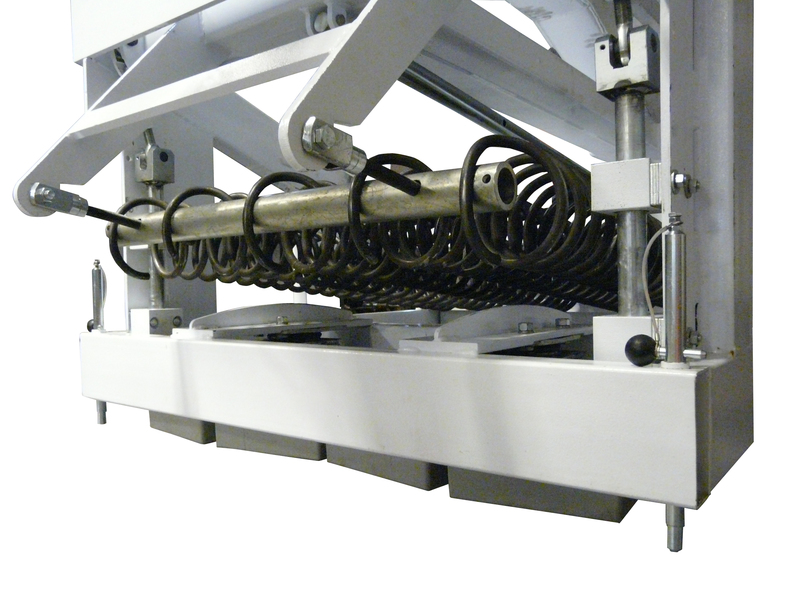 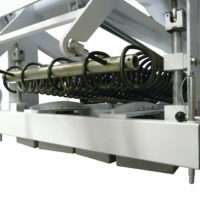 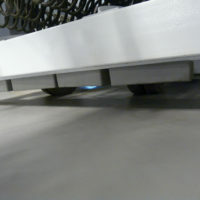 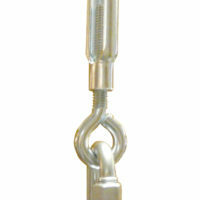 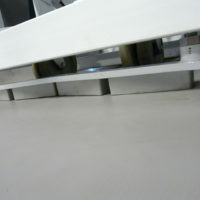 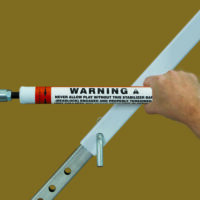 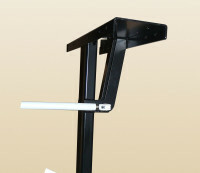 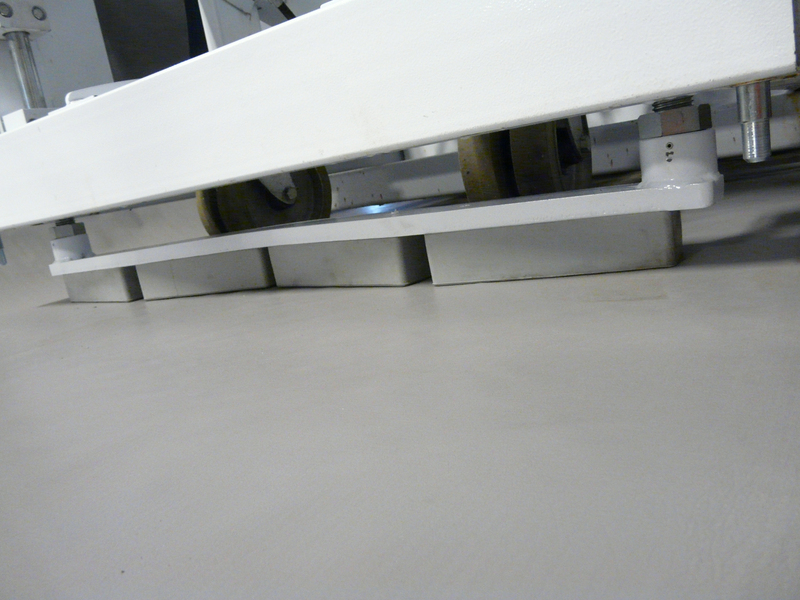 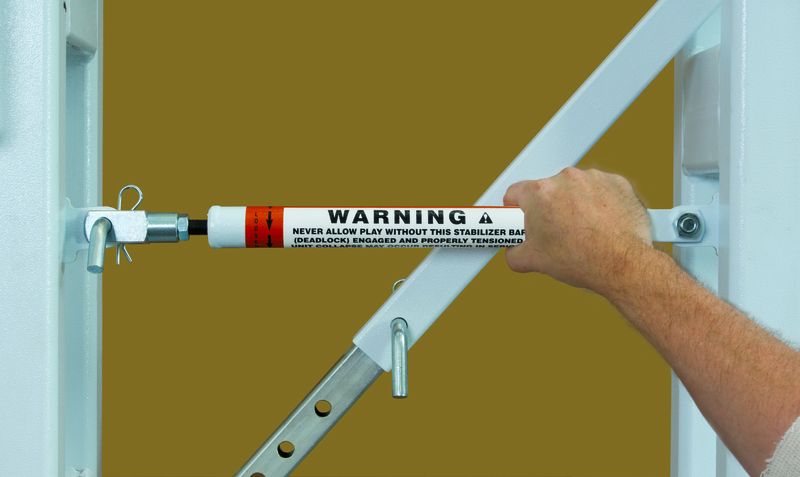 * CONSULT A BISON PRODUCT SPECIALIST FOR OPTIONAL MANUAL ABC SYSTEM (BA8910IGM) IF SPACE AVAILABLE IS LESS THAN SHOWN.